The Chapel of Saint Albert the Great, which has been serving students and staff, and the wider community since 1931, is situated on George Square at the University of Edinburgh. The chapel, designed by Simpson & Brown Architects was completed in late 2012 and aims to provide a modern space for worship but also to increase capacity and improve accessibility. A new access was created from Middle Meadow Walk so the chapel is now a feature for the many people that walk along this popular route. 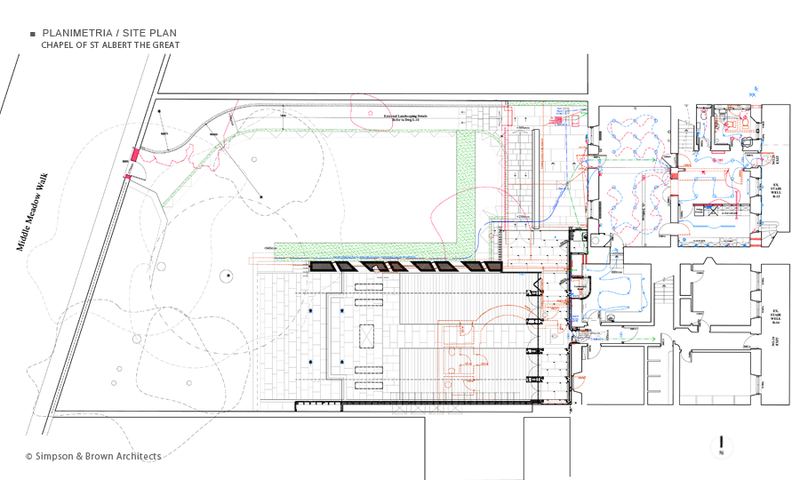 The choice of materials was an important factor in the design of the building. 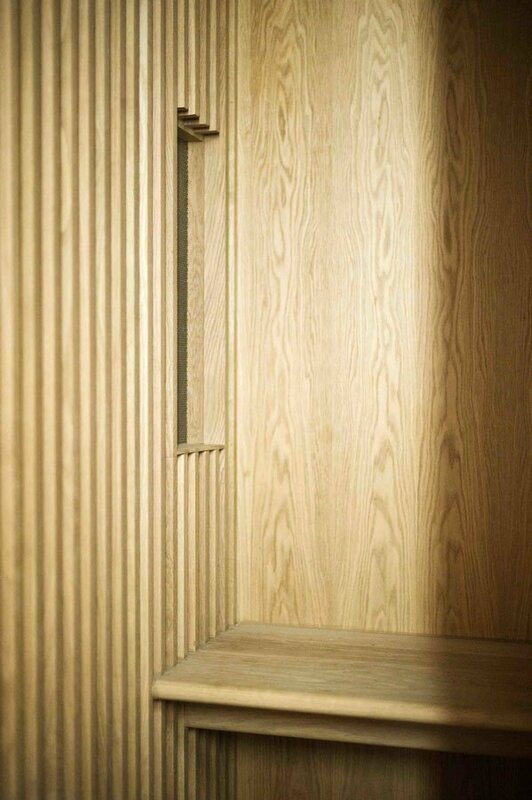 Joinery manufacturer Sandy Bruce from SK Bruce Joinery helped source ‘a beautiful looking timber that is stable and has an excellent colour and grain,’ says Stuart Allan from Simpson & Brown Architects. 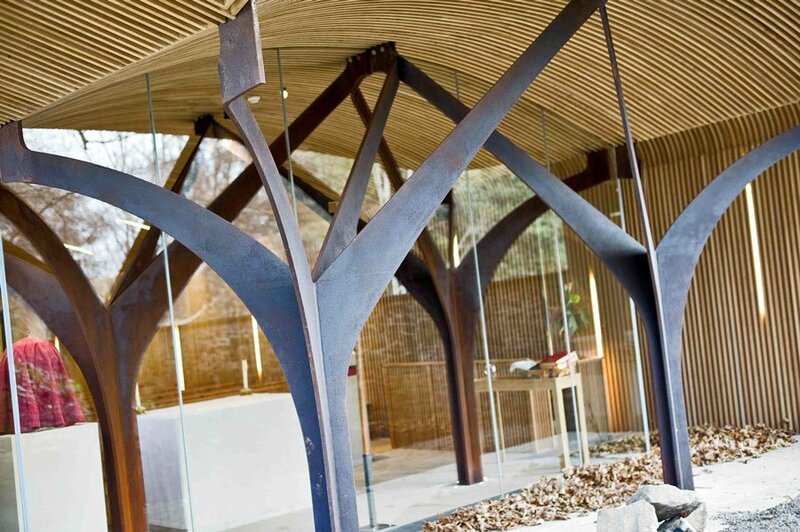 American white oak was chosen for the ceiling cladding over the altar and sanctuary spaces. The ceiling is support by four tree-like Corten Steel columns. The timber has a natural fire resistance which was significantly important as the whole interior of the church is white oak. 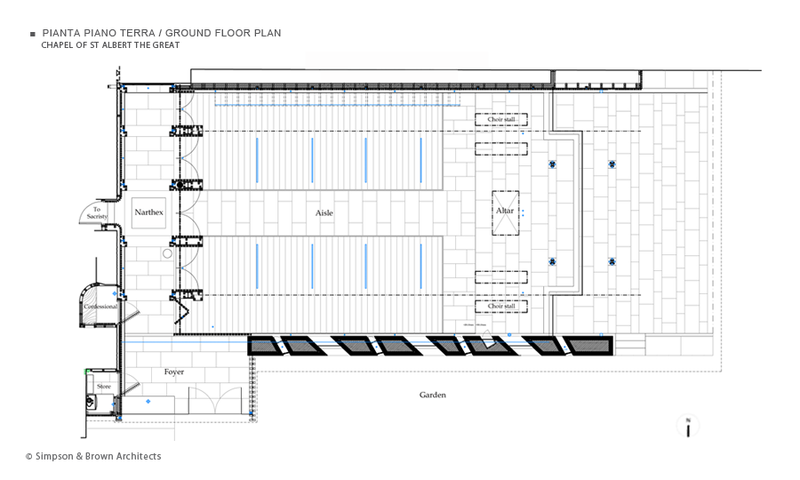 It also meets acoustics requirements as the oak linings prevents any issues with reverberation. 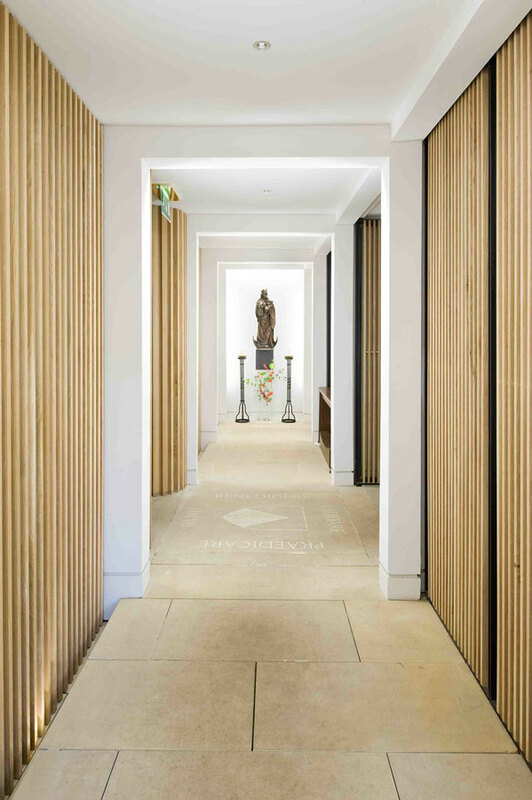 Deep, angled window reveals allow natural light to gently enter the space, which is characterised by the warmth of the timber pews and the beautifully crafted timber ceiling, which extends outdoors, beyond the west window. A sedum roof further melds the building to the garden. A thick masonry wall, constructed out of large clay blocks clad with sandstone, interprets the historic boundary between the townhouses and provides a solid mass and weight to the building form. 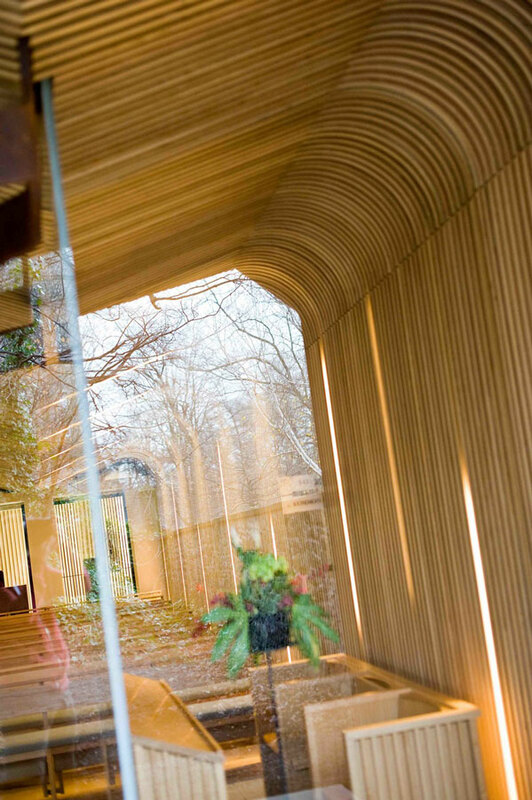 Angled windows are formed within this wall to allow light in and also to maintain the focus towards the sanctuary, providing oblique views of the garden. A combination of clerestory glazing, ventilator windows and a light well with opening roof lights provide both natural light and ventilation. 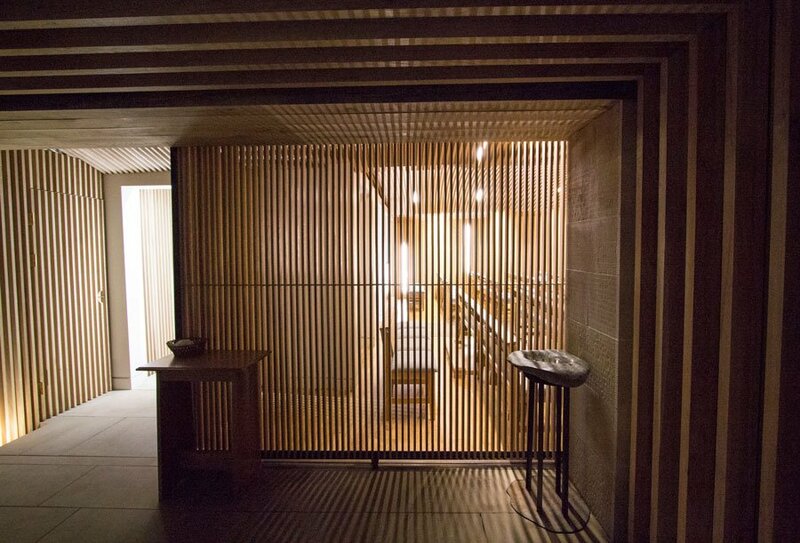 Daylight is accentuated by mirrors and filtered through continuous oak slats along the length of the chapel. The west wall behind the sanctuary is glazed and connects the chapel with the garden and its changing seasons, playing an important part in the worship calendar. 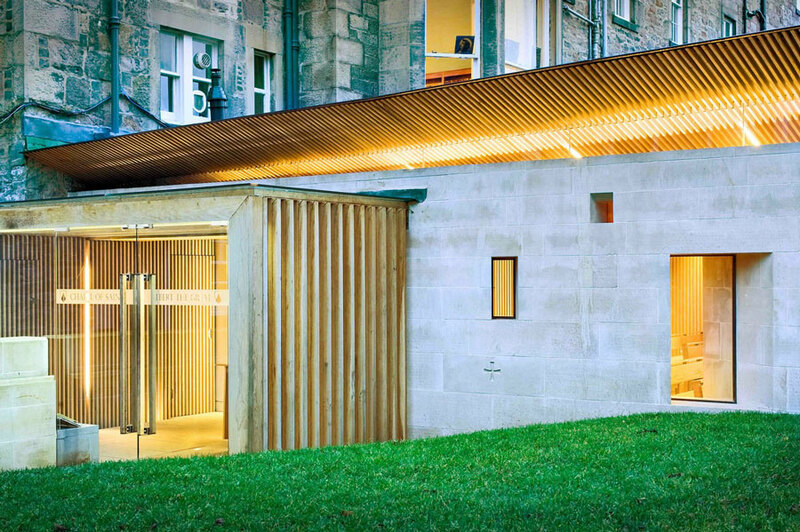 The external finish on the roof is sedum, again connecting the building to its garden setting, and minimising its visual impact from above. 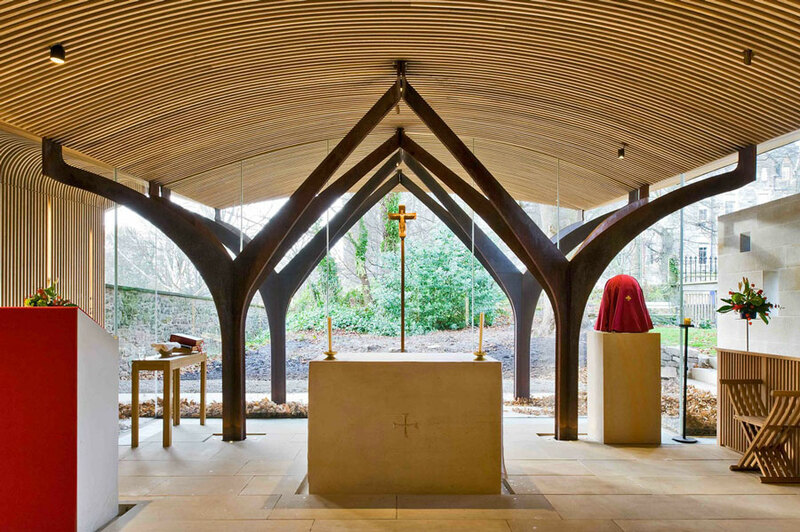 The new chapel provides a unique and beautifully designed space for peace, reflection and worship. The project won a RIAS Award for Best Gathering Place 2013, a RIBA Award and was shortlisted for the 2013 RIAS Andrew Doolan Awards.